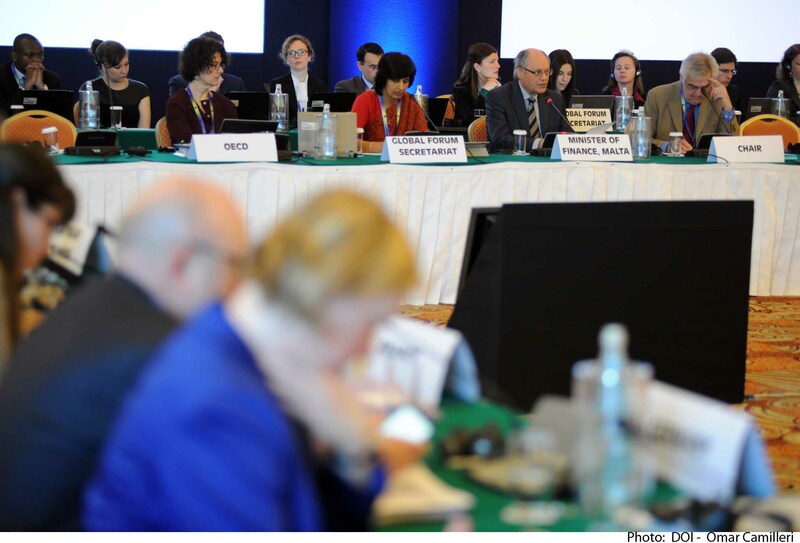 Waqt konferenza stampa, il-Ministru għall-Finanzi Edward Scicluna ħabbar li għat-tielet sena konsekuttiva, se jinħareġ bond għall-anzjani b’rata ta’ imgħax attraenti msejħa 62+ Government Savings Bond. 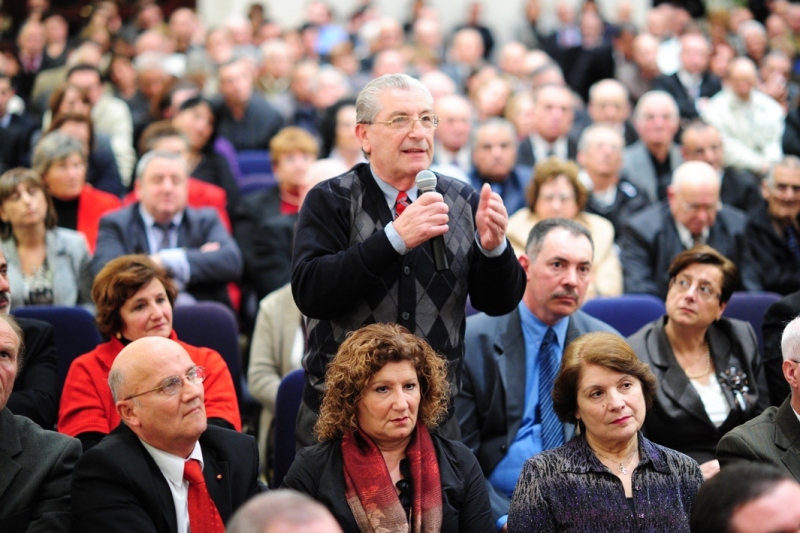 Dan il-bond, li ser ikollu ħames snin maturità, se joffri rata tal-imgħax ta’ tlieta fil-mija fis-sena, liema rata hija ferm ogħla mir-rati li qiegħdin joffru diversi istituzzjonijiet finanzjarji. Dan bl-għan li jkompli jinħoloq mezz alternattiv ta’ kif l-anzjani Maltin u Għawdxin jistgħu jtejbu d-dħul tagħhom, hekk kif l-indikazzjonijiet minn istituzzjonijiet internazzjonali juru li r-rati tal-imgħax mistennija jibqu relativament baxxi. “Permezz ta’ dan il-ħruġ ta’ Bond tal-Gvern għall-anzjani qegħdin inwettqu miżura oħra mill-Baġit 2019, liema baġit huwa mmirat sabiex ikompli jtejjeb id-dħul tal-Maltin u Għawdxin b’mod partikolari tal-anzjani jew pensjonanti,”qal il-Ministru għall-Finanzi. 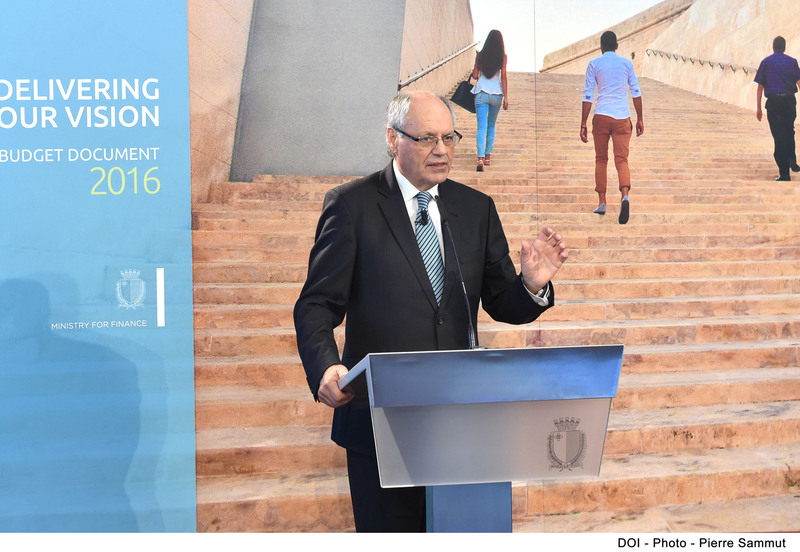 Huwa spjega kif il-ħruġ ta’ 62+ Government Savings Bond fl-2017 u fl-2018 kienu ta’ suċċess hekk kif dawn il-ħruġ ta’ bonds kienu oversubscribed, bl-ammont totali ta’ nies li gawdew minn dawn l-iskemi jitla’ għal 21,179 persuna. 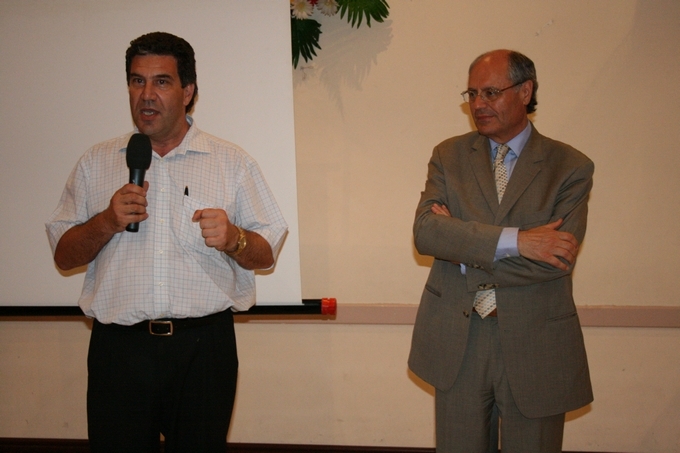 Il-Ministru ħabbar li dan il-bond ser jinħareġ fit-13 ta’ Marzu ta’ din is-sena u jistgħu japplikaw għalih dawk il-persuni li kienu twieldu fis-sena 1957 jew fis-snin ta’ qabel. 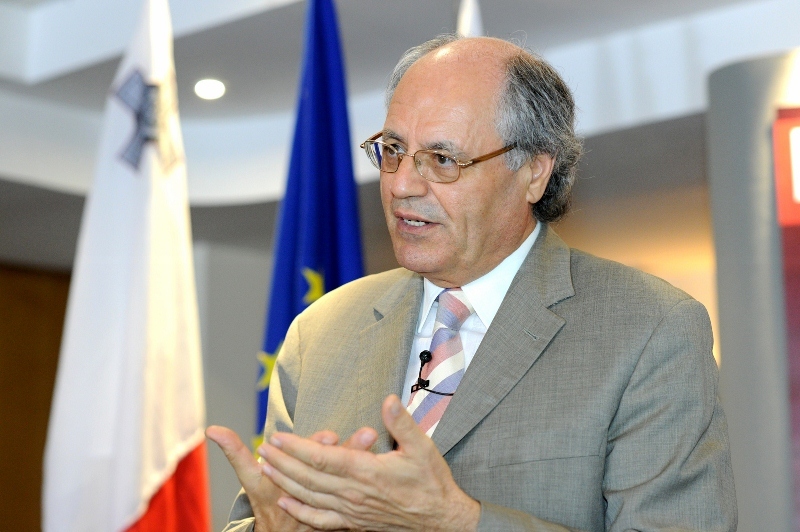 L-ammont ta’ ħruġ f’bond għal din is-sena se jkun sa massimu ta’ €100 miljun. B’hekk b’dan it-tielet ħruġ ta’ bond, il-pensjonanti se jkunu ipparteċipaw f’total ta’ €300 miljun f’bonds. Kull investitur jista’ jinvesti massimu ta’ għaxart elef ewro b’minimu ta’ ħames mitt ewro kull persuna. Bħas-snin ta’ qabel, f’każ ta’ oversubscription se tingħata preferenza lill-applikanti l-ġodda. Aktar tagħrif ser jingħata fil-jiem li ġejjin. 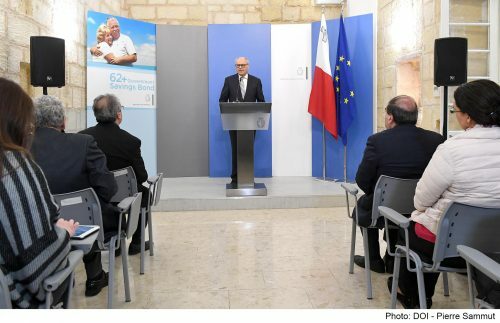 During a press conference, Minister for Finance Edward Scicluna announced that for the third consecutive year, a Government savings bond with an attractive interest rate for senior citizens will be issued. This bond, which will have a five-year maturity term, will have an interest rate of three percent per annum, which rate is much higher than the rates being offered by many financial institutions. Cognisant of the effect on pensioners due to the reduction in interest rates on fixed deposit accounts in recent years, the Finance Minister stated that this scheme will be providing an alternative method for senior citizens to supplement their income. 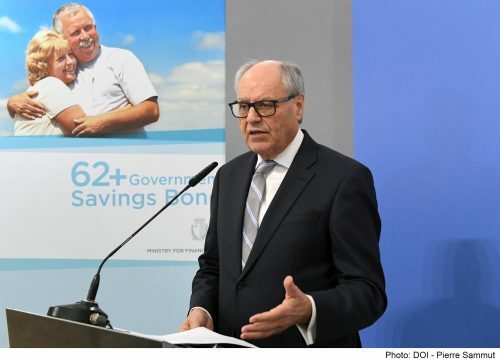 “Today we are delivering on another 2019 Budget promise, the 62+ Government Savings Bonds, which is expected to continue enhancing the income of Maltese and Gozitan senior citizens and pensioners”, said Minister for Finance Edward Scicluna. The Minister explained that the issuances of the 62+ Government Savings Bond in 2017 and 2018 were highly successful. Indeed, these bonds issuances were oversubscribed, with the total amount of people benefitting amounting to 21,179. The Minister also announced that 62 + Government Savings Bonds will be issued on the 13th of March and persons who were born in 1957 or prior, may apply. The maximum amount of bond issuance for this year will be up to €100 million. This means that, with this third issue of the Government bond, pensioners will have participated in a total amount of €300 million in bonds. 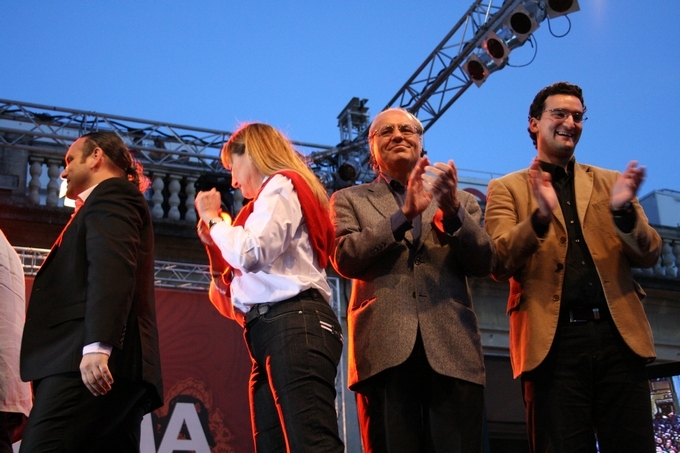 Any investor can invest a maximum of €10,000 with a minimum of €500 per person. As in previous years, in case of oversubscription, preference will be given to new applicants. Further information will be provided in the coming days.